Use Caulking and Weather-stripping: According the US Department of Energy, drafts can waste 5 to 30% of your energy use. Taking the time to seal gaps with caulking and weather-stripping can help keep unwanted breezes out of your home. In addition you can also roll up a bath towel to place under a drafty door. Change Furnace Filters: This is something that can be very easy to forget. Replacing or cleaning furnace filters once a month during the heating season is very important though. Dirty filters restrict airflow and increase energy demand. Also to reduce waste and hassle consider switching to a permanent filter. Run Fans in Reverse: When people think of fans they only think of cooling, but as it turns out many ceiling fans come with a switch that reverses the direction of the blades. You can cut your heating costs as much as 10% by switching the blade direction to clockwise to circulate the warm air that gets pooled near the ceiling. Turn Down Your Water Heater: Lowering your heater 20 degrees or more can reduce water heating costs by 6 to 10%. Most conventional water heaters are set to 140 degrees F by installers, and most households don’t need that much steam. By lowering the temperature to 120 degrees F, it can help you save money on your bill. Install Storm Doors and Windows: Installing a storm door to seal drafts and reduce air flow can increase energy efficiency by 45%. They also offer greater flexibility for letting light and ventilation into your home. Similarly, when you install storm windows they can make a huge different when the cold wind starts blowing. Check Your Thermostat: Sometimes we forget to turn down the heat when we leave the house, but by doing so you are guaranteed to save money. There is no point in keeping the heat on when there is no one to use it. For every degree you lower the thermostat during heating season, you’ll save 1 to 3% on your heating bill. You can also buy a programmable thermostat to help make it easier. Boost Insulation: Insulation is one of the best ways to save money and energy at home. Adding more insulation between walls, attic floors and basement ceilings can make a big difference. Another thing to check is your pipes, if they feel warm to the touch then it might be the perfect time to insulate them. You can easily do it yourself buying pre-slit foam from the hardware store. This will help you save money and decrease the chances of your pipes freezing. This complete list can be found on The Daily Green. The typical home seller is 53 years old with an income of $97,500. The typical home was on the market for 5 weeks, down from 11 weeks in 2012. 13% of sellers wanted to sell their homes earlier but were stalled because their home had been worth less than their mortgage. 9 years was how long the typical seller lived in their home. 88% of sellers used a real estate agent to assist them with selling their home. 9% of sellers sold their home without the assistance of a real estate agent. 46% of sellers stated that the primary reason they choose to sell their home without assistance is because they did not want to pay a fee or commission. Approximately one-third of FSBO sellers did not take any action to market their home and 64% did not offer any incentives to attract buyers. Getting the right price, preparing or fixing up the home for sale, and understanding and completing paperwork were reported as the most difficult tasks FSBOs encountered when selling their home. Described as a “sustainable tiny house kit,” this home is easier to assemble than furniture, believe it or not. The Nomad Micro Home was created by Vancouver architect Ian Kent, and was designed to be so small and lightweight that a buyer can ship it anywhere in the world then put it together using basic carpentry skills. 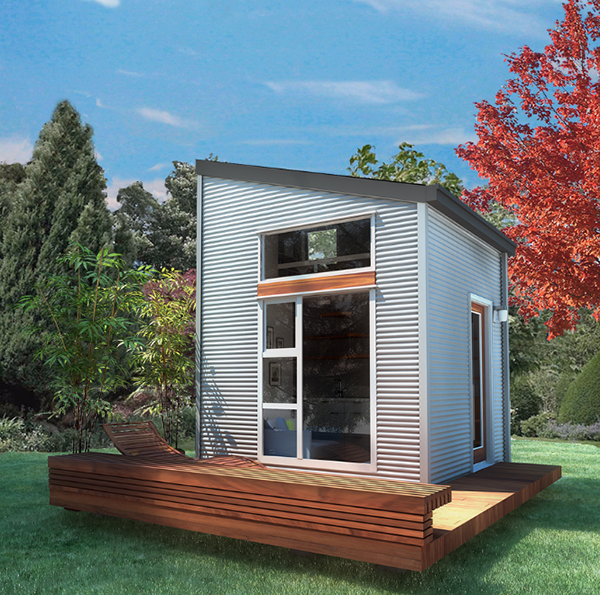 The base Nomad Micro house kit measures only 10×10 feet and includes a living room, kitchen, upstairs sleeping loft, and costs $25,000. To save space, many of the home’s amenities function with dual purpose; for example, the kitchen shelves also act as stairs to the loft and the entire bathroom serves as the shower stall. Though it is designed as a dwelling for only 1-2 residents, several kits can be assembled together to make a larger home. For an additional cost, buyers can upgrade their home with eco-friendly add-ons like solar energy panels, rainwater collection and grey water treatment systems, and a compost toilet. Sources: Jetson Green and Huffington Post. With our funding announcement and new additions to our team, we’ve had quite the busy week around the Househappy office! But before too much time passed, we wanted to give all of our supporters a recap of our recent trip to Web Summit. Dublin was a great opportunity to both meet others in the tech industry and check out other startups, as well as present Househappy to an international audience. During our two days at Web Summit, our booth was consistently packed with people looking to learn more about our platform and discuss how we believe Househappy can be a solution to many of the existing problems in the real estate industry. We received a variety of productive feedback, much of which reaffirmed that Househappy’s strength is the simplicity of our platform and the capability to search real estate visually. The Summit ended with a a discussion with the Irish Prime Minister Enda Kenny and Elon Musk, founder and CEO of SpaceX and Tesla Motors, co-founder of PayPal, and Chairman of SolarCity. We left Dublin feeling inspired, revitalized, and ready to keep building. Househappy Raises Additional $1.5 Million in Funding! Househappy is very excited to announce that we have secured an additional $1.5 million in series A financing led by Jeff Greenberg, Senior VP Electronic Media and Director at Skechers. The capital is in addition to the $1 million seed round Househappy.org received previously from angel investors. It will be used to expand our growing team and further development of our products and services for buyers, brokers, and sellers. In addition to his position with Skechers, Mr. Greenberg is the founder of G9 development, a luxury real estate development company located in Manhattan Beach, CA. He will also serve on Househappy’s board of directors. For additional information, please see our press release.